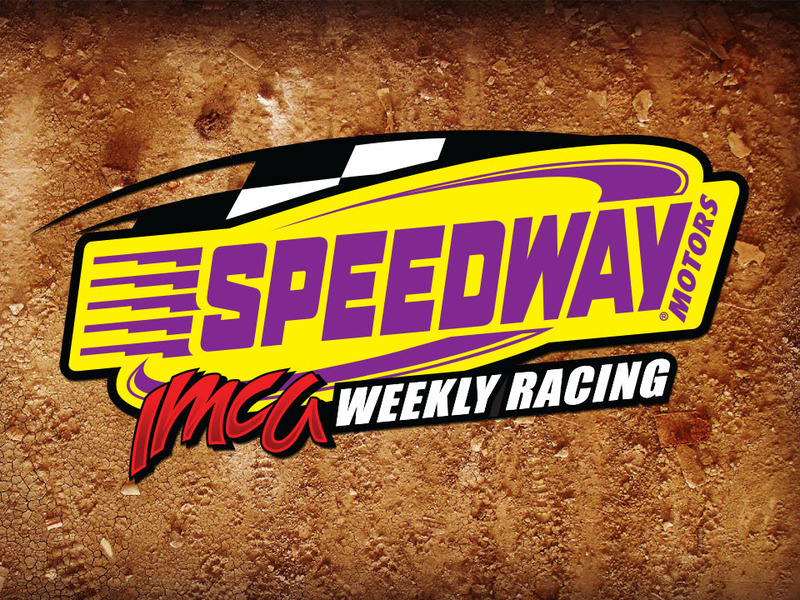 VINTON, Iowa (Oct. 6) – A who’s who of IMCA Speedway Motors Weekly racing will take their turns at the podium to tell about their 2014 championship campaigns during the national awards banquet next month. Zane DeVilbiss of Farmington, N.M., raced to his second national IMCA Xtreme Motor Sports Modi­fied title. He adds a bookend trophy to the hardware he won in 2010. Winners of career fifth national crowns were Mike Nichols of Harlan in the IMCA Sunoco Stock Cars and Shannon Anderson of Des Moines in the IMCA Sunoco Hobby Stocks. Matt Looft of Swea City defended his Karl Chevrolet Northern SportMod title. Sparked by an IMCA single division record 54 feature wins, Nate Coopman of Mankato, Minn., ruled again in the Mach-1 Sport Compacts. His first championship in that division came in 2011. First-time national champions were Clint Benson of Papillion, Neb., in the IMCA Eagle Motor­sports RaceSaver Sprint Cars and Chad Hertel of Abilene, Texas, in the Scoggin-Dickey Parts Center Southern SportMods. Final point races for all seven of those divisions were Sept. 28. DeVilbiss counted his career 100th IMCA feature win among 30 victories this season and topped Larry Shaw Racing Western Region standings for the fifth straight year. He totaled 36 bonus points for winning the Border States Racing Series and Desert Thunder Raceway titles; DeVilbiss was also track king at Aztec Speedway and Montezuma County Fairgrounds Speedway. The first driver from Nebraska to earn IMCA’s national Sprint Car crown, Benson won 10 features along with the Eagle Raceway track title. Nichols topped 32 feature events and collected titles in the Dirt Trax Central Jax Sports Grille Great Plains Series, along with Dawson County Raceway, Crawford County Speedway and Shelby County Speedway. Anderson collected 26 checkers in addition to Iowa State Fairgrounds Speedway and Stuart Speed­way championships, plus the Big Daddy Race Cars Northern Region trophy. Looft won 18 times this season, pacing points for the Redline Racing Parts North Star Series, plus local track standings at Arlington Raceway, Fairmont Raceway and Redwood Speedway as well. Hertel was the winner of 13 features, plus Abilene Speedway and Boyd Raceway track titles. Along with his unparalleled feature win total, Coopman raked in North Star Series and Arlington Raceway, Buena Vista Raceway, Fairmont Raceway and Redwood Speedway track titles. Modified regional champions were William Gould of Calera, Okla., in the Razor Chassis South Central Region, Johnny Saathoff of Beatrice, Neb., in the Jet Racing Central Region, Chris Abel­son of Sioux City in the Belleville Motorsports North Central Region and Chris Fleming of Union Springs, N.Y., in the Dirt Works Eastern Region. The 2013 national champion, Gould was runner-up this time around, won 24 features and paced points at Kennedale Speedway Park and Boyd Raceway. IMCA’s national champion four times, Saathoff won eight features en route to his sixth career regional prize. He was track champion at Eagle Raceway and Beatrice Speedway. Fleming repeated in the East with 28 feature wins. His track titles came at Brewerton Speedway and Skyline Raceway. Abelson was a first-time regional champion. His resume for the season included 29 feature wins and the Raceway Park, Buena Vista Raceway and Clay County Fairgrounds track titles. Arnold Motor Supply Stock Car Regional titles went to Nichols in the North and for a second straight year to national runner-up Matt Guillaume of Haslet, Texas, in the South. The winner of 25 features, Guillaume was champion at both Kennedale Speedway Park and Boyd Raceway. April Phillips of Abilene, Texas, won nine features, the Lubbock Speedway title and topped Charger Chassis Southern Region standings for the Hobbies. She’s the first female driver to win an IMCA regional championship in any division. Seven-time feature winner Dean Abbey of Waco, Texas, garnered national Modified and South Central Region rookie of the year honors. Also scoring regional rookie honors were Kyle Wilson of Monterey, Calif., in the West, Clay Sellard of Ellis, Kan., in the Central, Nick Roberts of Des Moines in the North Central and Kurt Decker of Nineveh, N.Y., in the East. Sellard won seven features, Roberts five and Decker two. Eleven feature wins helped propel Devin Smith of Lake City to national and Northern Region Stock Car rookie of the year honors. Colby Deming of Hobbs, N.M., won twice and earned the Southern Region rookie of the year award. TeJay Mielke of Norfolk, Neb., won eight features and raced to national and Northern Region Hobby Stock rookie of the year accolades. Comanche, Texas speedster Westin Abbey scored six fea­ture wins and the Southern Region rookie prize. Other national rookies of the year were Kyle Jones of Kennedale, Texas, in the Sprints; Robert Gallaher of San Jose, Calif., in the Northern SportMods; Garett Rawls of China Spring, Texas, in the Southern SportMods and Jacob Kofoot of Bode in the Sport Compacts. Jones had four feature wins and the track title at Mountain Creek Speedway to show for his first IMCA season. He had seven second-place finishes to Jeb Sessums’ four in the tie-breaker to de­termine the national runner-up. Gallaher and Kofoot both won two features, Rawls one. Justin Kay of Wheatland repeated as national champion and John Emerson of Waterloo was rookie of the year in the Late Models. The point season for that division concluded Aug. 31. Tiffany Bittner of Norfolk, Neb., had the highest point total for all female drivers to win her fourth straight Lady Eagle title. She was also the Hobby Stock track champion at Boone County Raceway and US 30 Speedway. All champions and rookies of the year will be honored during the national IMCA awards banquet Saturday, Nov. 29 in Lincoln, Neb. Lonnie Welch of Bakersfield, Calif., topped overall point standings for the West Coast Super Stocks. IMCA handled administrative chores for that class, which ran in California and Nevada.